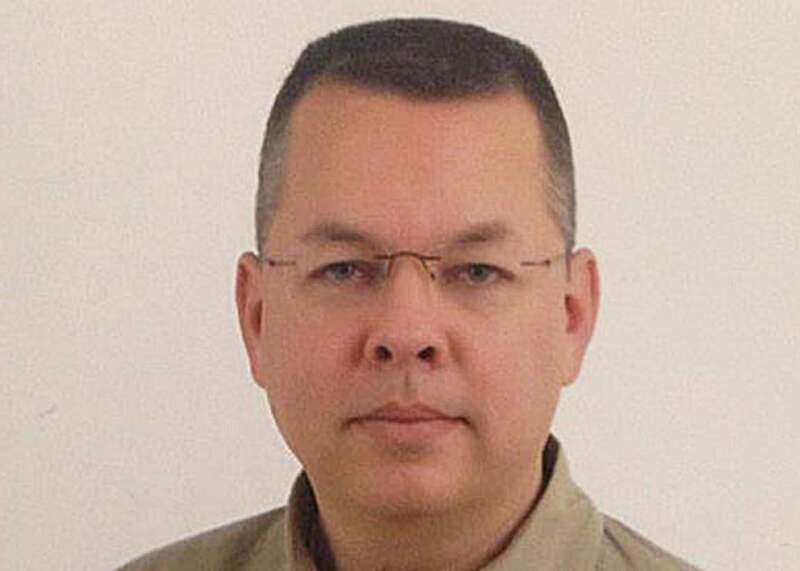 Andrew Brunson, the American pastor caught in Erdogan’s crackdown. How an American pastor, improbably accused of terrorism, became a pawn in U.S.-Turkey relations. Local media outlets and U.S. officials involved in the case say that Brunson stands accused of membership in what the Turkish government calls the Fethullah Gulen Terrorist Organization, or FETO. This is the name Turkey uses to refer to followers of Gulen, a cleric living in the United States whom Turkey accuses of orchestrating a failed coup against President Recep Tayyip Erdogan last July. (Gulen is the man Donald Trump’s former national security adviser, Michael Flynn, reportedly wanted to remove from the U.S. illegally, presumably to help Erdogan.) There’s been no publicly presented evidence of ties between Brunson and Gulen. President Erdogan is due to visit the U.S. next week. Please pray that the Lord would use this! Brunson’s case is unusual because he’s a U.S. citizen, but the basic circumstances of his arrest and detention are all too common in Turkey today. As of last month, nearly 50,000 people had been arrested since the attempted July coup on suspicion of Gulenist ties. Many more have been detained for questioning. This had been widely seen as a crackdown on opposition to Erdogan ahead of an April 16 referendum in which Turkish voters narrowly approved constitutional amendments expanding his authority as president—but the authorities have not let up since then. Just last month, more than 1,000 were arrested in anti-Gulen raids. Brunson and thousands of others may be sitting in Turkish prisons, but the man Erdogan really wants in jail is Gulen, a 76-year-old imam who left Turkey in 1999 and now lives in seclusion in Saylorsburg, Pennsylvania. Gulen is the spiritual leader of a global movement of devoted followers. His theology mixes Islam with Turkish nationalism and an embrace of modern science and capitalism. Gulen’s movement was once allied with Erdogan’s AK Party, but relations went sour about five or six year ago, and in 2015, the government designated the movement as a terrorist organization—FETO. The Gulenists deny that they are terrorists, or even an organization—just a loosely affiliated network of believers in Gulen’s teachings. They also deny that theirs is a political movement at all, although undoubtedly many Gulenists are involved in politics. What they don’t seem to be, however, is a parallel state that aims to take over Turkey, as Erdogan portrays them. Though Erdogan has not gone as far as to accuse the U.S. of backing the 2016 attempted coup, some of his top officials have. The Turkish government has demanded Gulen’s extradition and reportedly sent the U.S. State Department 80 boxes of evidence to support its contention that Gulen was behind the attempted coup, but the U.S. has made no moves to begin deportation proceedings yet. Even if the U.S. government were convinced, Gulen is a permanent resident here and a court would have to approve his extradition, a process that could take years. The evidence against Brunson has not yet been made public, but it does seem highly dubious that an American evangelical Christian would be a member of a Muslim religious organization. The case against Brunson is reportedly based on the testimony of an undisclosed witness, though reports vary as to what exactly the witness alleges. In one version, Brunson attended a Gulenist event. In another, he spoke positively once about relations between Christians and the movement. 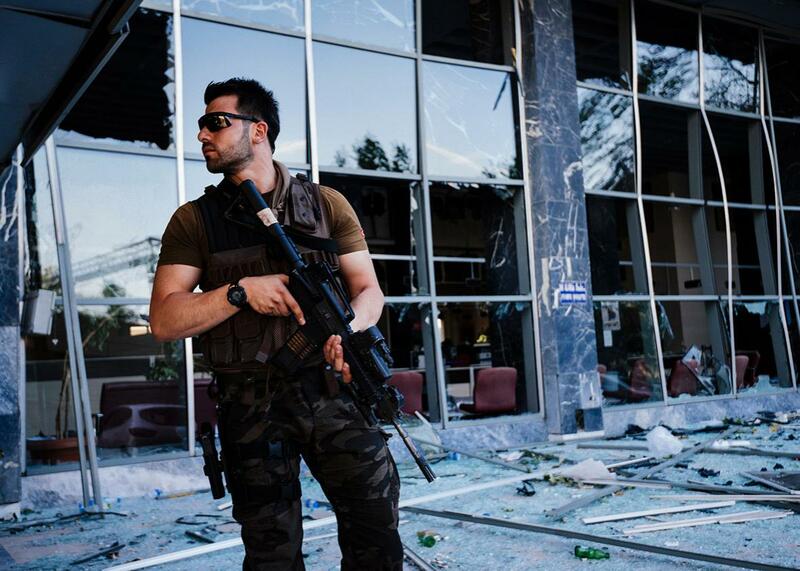 An armed Turkish police officer stands guard in front of the damaged Ankara police headquarters on July 19, after it was bombed during the failed July 15 coup attempt. The armed forces have blamed the coup attempt on a group they’re calling FETO. People have been charged with membership in FETO based on evidence as anecdotal as having had an account at the Gulenist-run Bank Asya, having had a subscription to the Gulenist-owned newspaper Zaman, or even having American $1 bills whose serial numbers start with “F,” which the Turkish government claims were used as a kind of calling card by the movement. Brunson is not the only American Christian who has been caught up in the post-coup crackdown. On Oct. 8, a day after Brunson’s arrest, Ryan Keating (no relation to the author of this piece), a doctoral student who led a Christian congregation in Ankara, was informed while leaving for a weeklong trip to London that his residence card had been revoked for “reasons of national security.” When he tried to return to Turkey a week later, he was detained overnight at Istanbul’s airport and then put on a flight to London. “You’ve got a Christian pastor that’s been accused of attending a conference with a Muslim mystic. That doesn’t fit the profile. I’m a little skeptical of that,” Lankford told me. I plead with my government—with the Trump Administration—to fight for me. I ask the State Department to impose sanctions. I appeal to President Trump: please help me. Let the Turkish government know that you will not cooperate with them in any way until they release me. Please do not leave me here in prison. Some of Brunson’s advocates in the United States have portrayed this as a cut-and-dry case of religious persecution—a Christian pastor being targeted in a mostly Muslim country. While that may be an element of the case, the reasons for his continued detention likely have more to do with the current state of U.S.-Turkey relations. 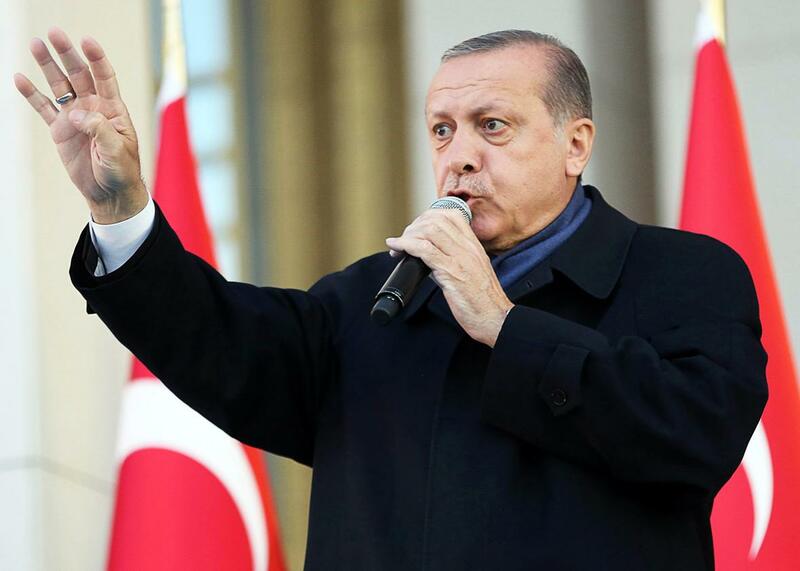 Turkish President Recep Tayyip Erdogan delivers a speech to his supporters in Ankara on April 17, following the results in a nationwide referendum he narrowly won. “That seems to me to say that they are linked,” Todd Nettleton, of the group the Voice of the Martyrs, which advocates for imprisoned Christians, told me. “Nobody has said it publicly, but certainly with the answer the prime minister gave, it raises the question that at least in the minds of the Turkish government there are links between the two cases.” Heil has also expressed worry that Brunson is being held as a kind of hostage for Gulen. Still, Gulen’s return is a major priority for Erdogan’s government. Whether or not the two cases are directly related, the lack of progress on the Gulen issue could put Turkish leaders in a less cooperative mood. Months later, it was revealed that Flynn had been paid more than $500,000 by a Turkish-American businessman to lobby U.S. interests on the Erdogan government’s behalf. Former CIA Director James Woolsey even said he was present at a meeting with Flynn and a group of Turkish ministers at which they discussed a covert operation to “whisk” Gulen out of the country. “It’s obvious that the Turkish government was euphoric when Trump won and thought the Trump administration would be deferential to Turkey. But recently, I think some Turkish government officials, including the prime minister, have grown frustrated,” said Zeynalov. One thing that does seem to have shifted in Turkey’s favor is the new president’s attitude toward Erdogan’s increasingly autocratic governance. Despite the mass arrests, and the fact that the recent referendum was widely seen as an authoritarian power grab, Trump controversially called Erdogan to congratulate him in April. According to the White House readout of the April phone call, the two leaders discussed “the need to cooperate against all groups that use terrorism to achieve their ends.” Of course, this is how the Turkish government would describe the Gulen movement—and one person who has been accused of using terrorism in Turkey is an American preacher. Despite several cordial conversations with Erdogan, however, Trump does not appear to have asked the Turkish president to look into Brunson’s case. On Thursday, lawyers from the ACLJ met with Trump and urged him to bring up Brunson’s situation when he hosts Erdogan at the White House this week. I asked Drew Bailey, a State Department spokesman, if the U.S. stance on Turkey’s extradition request for Gulen had changed. Though he responded to my other queries, this one did not get an answer.